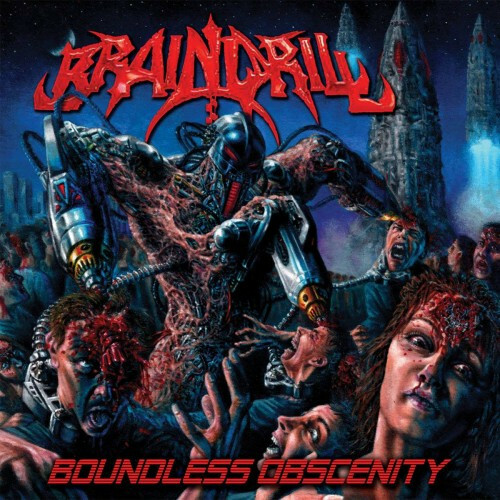 At this point, most people know Brain Drill and have long since formed an opinion either for or against the band and their frenetic and over-the-top style of technical brutal death metal. As such, I’m not here to preach at length to the unconverted, but I will say this: I think last year’s comeback album from the group, Boundless Obscenity, was by far their strongest effort to date. While not the first of their ilk, preceded by Origin and to degrees Cryptopsy and several others, California natives Brain Drill ushered in a new dimension of hyper-frenetic technical death metal upon their unholy birth in 2006, bearing instant fruit with an initial EP that year entitled The Parasites. From there the group linked up with Metal Blade Records for two over-the-top-yet-face-melting albums, 2008’s Apocalyptic Feasting and 2010’s Quantum Catastrophe. Hey, sorry we made that album cover (above) so big. We know it must have come as a shock when you opened up this page and saw that gruesome piece of mind-fuckery. We just couldn’t help it. We have to have our fun where we find it. Yeah, so that’s an album cover. 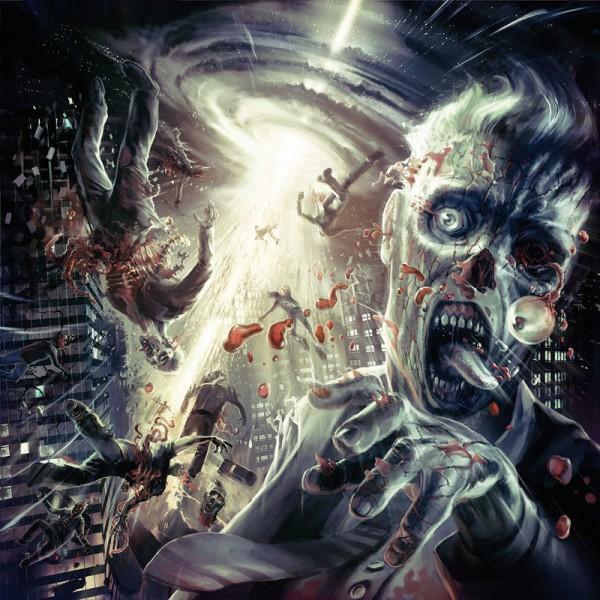 Not just any album cover, but an album cover by Pär Olofsson, who’s done the album art for bands like Immolation, Miseration, Revocation, Arkaik, Immortal, The Faceless, Winds of Plague, and many others. We put up a whole bunch of his album covers for your viewing pleasure here not too long ago (scroll down when you get to that link). Have to say that none of them really looked anything like the one above.